Since publication of the 2004 update to the American Association of Physicists in Medicine (AAPM) Task Group No. 43 Report (TG-43U1) and its 2007 supplement (TG-43U1S1), several new low-energy photon-emitting brachytherapy sources have become available. Many of these sources have satisfied the AAPM prerequisites for routine clinical purposes and are posted on the Brachytherapy Seed Registry managed jointly by the AAPM and the Imaging and Radiation Oncology Core Houston Quality Assurance Center (IROC Houston). 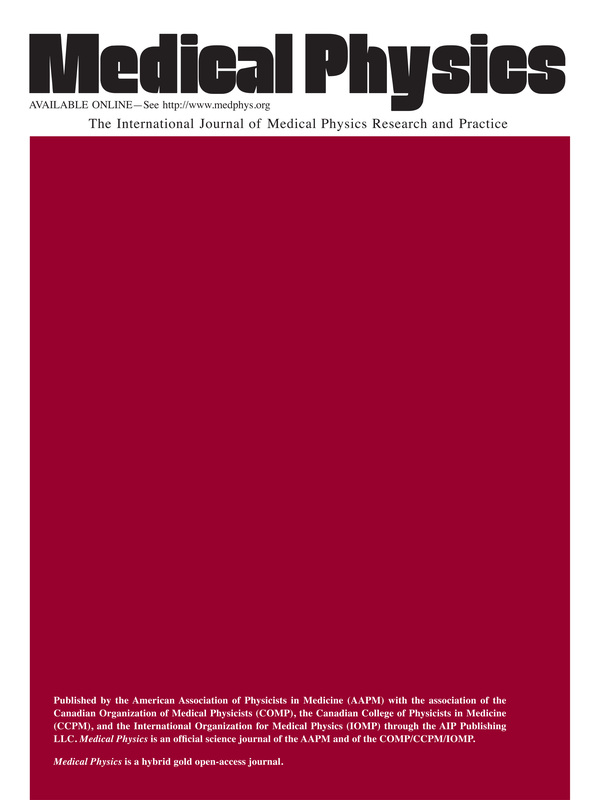 Given increasingly closer interactions among physicists in North America and Europe, the AAPM and the Groupe Européen de Curiethérapie-European Society for Radiotherapy & Oncology (GEC-ESTRO) have prepared another supplement containing recommended brachytherapy dosimetry parameters for eleven low-energy photon-emitting brachytherapy sources. The current report presents consensus datasets approved by the AAPM and GEC-ESTRO. The following sources are included: 125I sources (BEBIG model I25.S17, BEBIG model I25.S17plus, BEBIG model I25.S18, Elekta model 130.002, Oncura model 9011, and Theragenics model AgX100); 103Pd sources (CivaTech Oncology model CS10, IBt model 1031L, IBt model 1032P, and IsoAid model IAPd-103A); and 131Cs (IsoRay Medical model CS-1 Rev2). Observations are included on the behavior of these dosimetry parameters as a function of radionuclide. Recommendations are presented on the selection of dosimetry parameters, such as from societal reports issuing consensus datasets (e.g., TG-43U1, AAPM Report #229), the joint AAPM/IROC Houston Registry, the GEC-ESTRO website, the Carleton University website, and those included in software releases from vendors of treatment planning systems. Aspects such as timeliness, maintenance, and rigor of these resources are discussed. Links to reference data are provided for radionuclides (radiation spectra and half-lives) and dose scoring materials (compositions and mass densities). The recent literature is examined on photon energy response corrections for thermoluminescent dosimetry of low-energy photon-emitting brachytherapy sources. Depending upon the dosimetry parameters currently used by individual physicists, use of these recommended consensus datasets may result in changes to patient dose calculations. These changes must be carefully evaluated and reviewed with the radiation oncologist prior to their implementation.